Timothy M. Carter is an associate in Mitchell Silberberg & Knupp's Litigation Practice Group. Tim’s practice focuses on Intellectual Property and Entertainment Litigation. 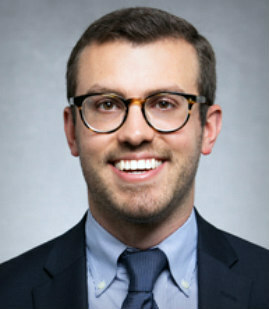 Prior to joining the firm, Tim worked in the legal department of Wenner Media LLC (formerly Rolling Stone Magazine, Us Weekly, Men’s Journal, Glixel) where he was responsible for pre-publication review of editorial and branded digital content; advising on fair use, intellectual property, defamation, privacy, and advertising issues; and drafting and negotiating appearance releases, intellectual property licensing agreements, media licensing agreements, talent agreements, work for hire agreements, and branded content and sponsorship agreements. Analyze legal issues in copyright, trademark, advertising, defamation, right of publicity, breach of contract, and entertainment matters. Draft, negotiate, and review general and minor appearance releases, intellectual property licensing agreements, publishing agreements, synchronization and master use licenses, talent agreements, major and minor participant releases, property releases, media licensing agreements, employment agreements, work for hire agreements, branded content agreements, sponsorship agreements, and non-disclosure agreements. Advise on, draft, and review official rules, copy, and disclosures for sweepstakes, contests, and other promotions.